After-workout snack, nutrition power, soooo healthy and oh-so delish! Look who else loves pistachios. How to maintain muscle and train for an ultra-marathon: Eat a lot; eat healthy. Pistachios, a great healthy snack, have a serious amount of protein and nutrients. 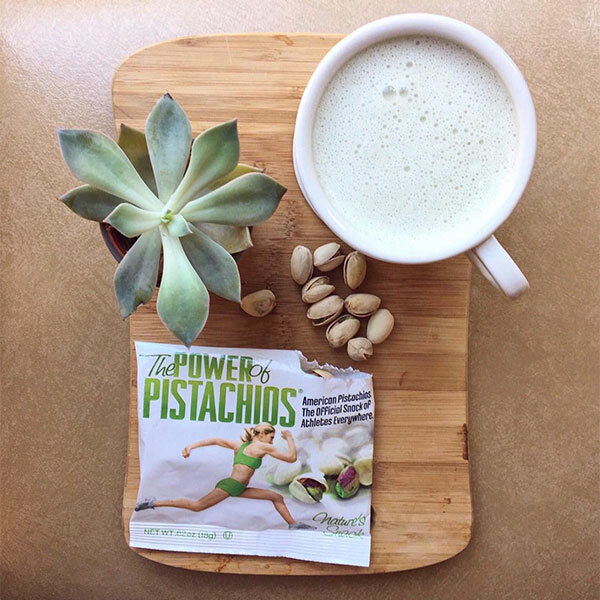 Pistachios help me stay lean and strong without sacrificing energy to digest large meals. If I’m doing yoga in the morning, I whip up a snack before I practice. 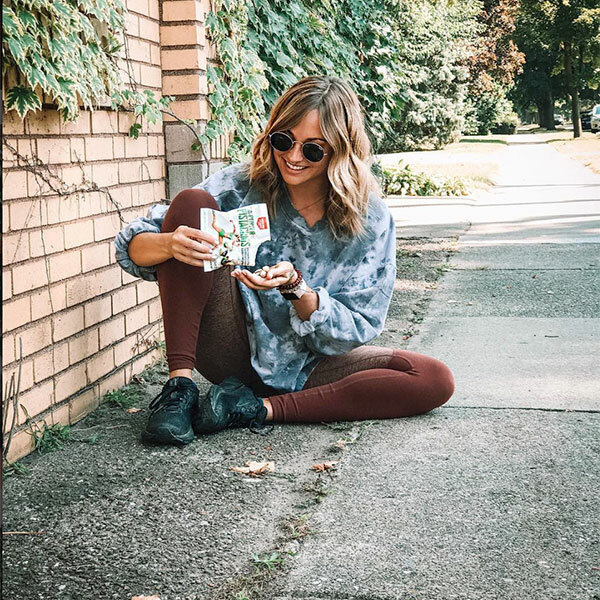 I cannot flow on an empty stomach, which is why a foamy macchia latte plus some pistachios is the perfect way to stay satisfied through my entire yoga practice. And it holds me over until breakfast, afterward. Recovered from an intense hour of DanceBody sculpt on Monday, with pistachios, which I’ve been really into lately. Finding a non-perishable, pre-packaged, healthy snack (that’s not a bar) isn’t easy! I am constantly on the lookout for good ones! I personally love snacking on pistachios🌱Pistachios are packed with magnesium, protein, copper, iron and so much more. Remember, when you eat right you feel right! That’s the real secret! From workout to workin' in my favorite spot downtown--sitting outside post-workout, editing and snackin' on pistachios. Who else looooves pistachios? 🙋🏻♀️They are an awesome source of magnesium, protein and fiber. Mmmm yes. I dig it. 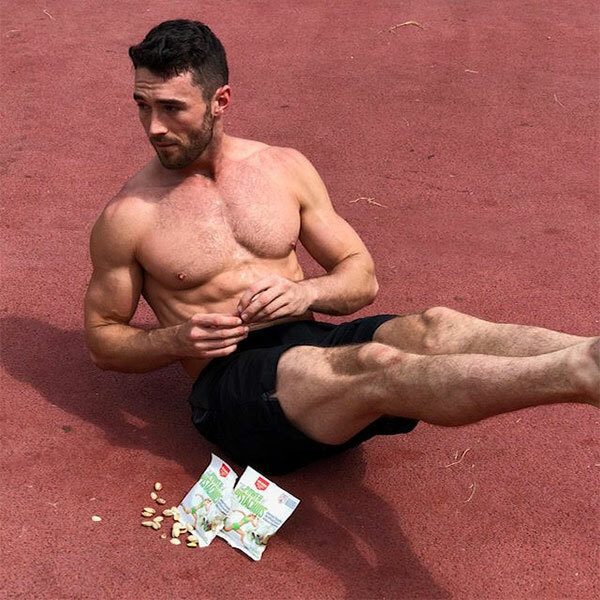 SNACKS ON THE RUN 🏃🏽♂️ This month and the next are a little crazy as far, as travel goes, so I’ve been making sure my travel-friendly-snack game is on point. UMM HELLO PISTACHIOS 😍Packed full of magnesium, protein and fiber, these pistachios are bad boys. Rich in vitamins and minerals, pistachios make for a great post-workout snack. 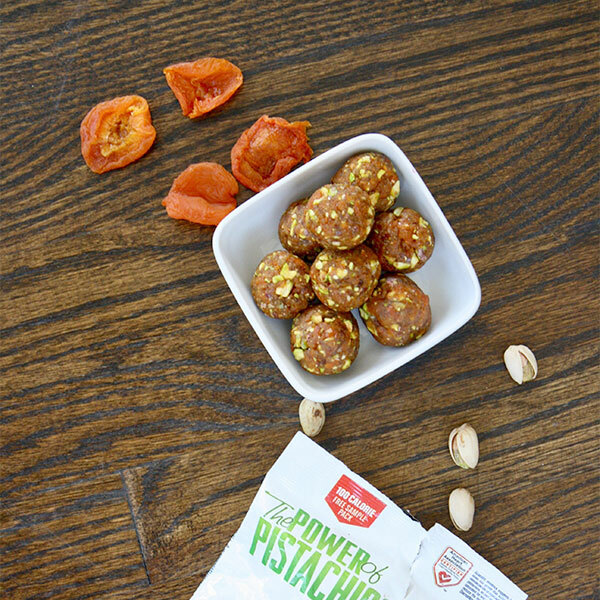 I use pistachios to create little post-workout “Adventure Apricot Pistachio Bites.” Combine dates, dried apricots, almonds, pistachios, fresh orange juice, and orange zest. I keep them in the freezer as a grab-and-go-snack. Physical fitness is not only one of the most important keys to a healthy body, it is the basis of dynamic and creative intellectual activity. Whatever activity I’m engage with, I refuel with pistachios, which are high in magnesium (supports sore muscles! ), iron, vitamin A and manganese. What do you really know about this great tasting snack?